Coachman® Collection. If you like the high-end look of wood carriage-house style garage doors, but still want the benefits of a low-maintenance, insulated steel door, consider Clopay's Coachman Collection. Gallery® Collection. Clopay's Gallery Collection bridges the gap between the popular vintage carriage-house garage door design and affordability. Grand Harbor® Collection. Clopay's Grand Harbor Collection is a non-insulated steel carriage house style garage door allowing an affordable option to achieve the classic old world charm. The Avante Collection. Innovation meets style in this residential garage door series, which combines contemporary aluminum and glass in a sleek modern design. This door is the perfect choice to modernize any home; transforming not only garages, it can also be used as an indoor loft partition or a versatile patio door. The Reserve® Collection. Armed with a homeowner's sketch or architect's drawing, our Custom line capabilities enable us to create just about any wood garage door imaginable. Our Limited Edition wood door styles are based on the most popular Custom designs, and the Semi-Custom line of wood garage doors offer a more affordable version of these popular Carrige Style wood garage doors. Premium Series. (Best) Outstanding durability, appearance, performance, and safety at an exceptional value. Features a three-layer sandwich construction method with up to 2" polystyrene insulation for maximum energy efficiency and noise reduction. Value Plus. (Better) A beautiful, energy efficient garage door featuring two-layer construction and 7/8" polystyrene insulation. Value Series. (Good) An affordable garage door featuring single layer steel construction that is both attractive and reliable. 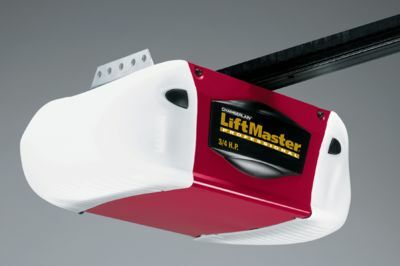 Best suited for detached garages in milder climates where insulation isn't a factor. 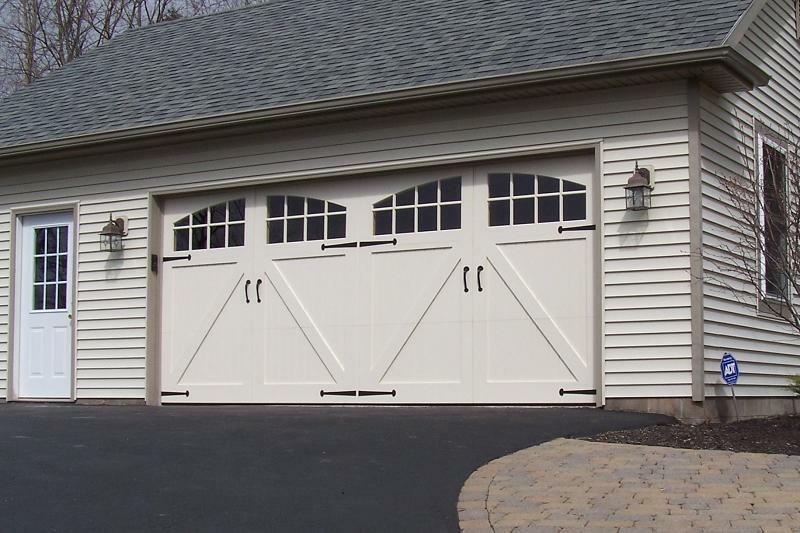 Classic LineTM of Wood Garage Doors. Offering the warmth and character of wood with a more traditional design, these doors are available in a variety of wood species as well as seven attractive designer, decorative and plain window inserts constructed in carved wood. C.H.I. Overhead Doors, Inc. ("C.H.I.") warrants steel garage door sections against splitting; cracking and rusting through. Series 5530 and 5330 carriage house doors and series 2700 fiberglass doors are warranted for three (3) years. Field painting of series 5530 and 5330 doors with dark colors (less than 50% light reflectance rating) will void warranty. Thermal bowing and minor gaps at fiberglass splice points on series 2700 doors are not considered defects. Series 5430 wood carriage house doors are warranted for one (1) year. Series 5430 doors must be field painted according to C.H.I. painting instructions prior to installation. Commercial applications are covered for ten (10) years. This limited warranty excludes: (1) rust caused by damages or scratching; (2) damage resulting from exposure to corrosive chemicals, corrosive fumes, condensation, water or fire; (3) damages caused by accident, improper use, negligent operation, improper installation, improper maintenance or normal wear; (4) shipping, installation or labor charges; (5) defects in paints or coatings used to finish door sections; (6) any product or component which is modified, altered, or not part of the original door; (7) damages resulting from any circumstances beyond the direct control of C.H.I. and (8) minor expansion and contraction gaps in overlay material on carriage house and fiberglass doors.